The Garage Door Depot® in Comox Valley is all Garage Doors from Residential Garage Doors, Commercial Garage Doors and Garage Door Openers. Our featured brands include Amarr, Northwest Door, and LiftMaster. We also carry a wide array of Garage Door Parts & Garage Door Accessories. 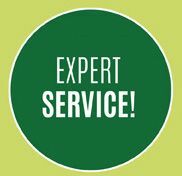 Get professional Garage Door Repair and Services with the garage door experts. If you require service or a replacement for your garage door, Contact Us today!